Oh, what a lovely, lovely book. My best read of the year. This book is all about the power of introverts in a world that can’t stop talking. An introvert herself, Cain has been credited with starting a ‘quiet revolution’ with her fascinating and sensitive celebration of introversion. F or those of us who can relate to the subject matter, this really is a special book and I learned so much about myself reading it. I like to make marks in the margin of books when I read something memorable, and my copy of Quiet looks like a mad professor’s text book. A real life-changer. You must read it, introvert or not. This classic picks up on Daniel Kahneman’s theme of thinking fast. Gladwell proves how snap judgements and gut feel decision making can often produce the best results. Why, he asks, can some people look at a painting and immediately spot that it’s a fake? Why do some relationships just ‘click’ from the first second. 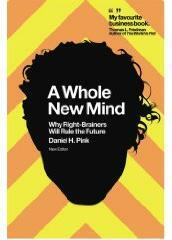 A great read for brain geeks. You’ll need to give youself a bit of time to read this book, and you’ll have to concentrate the whole way, but you’ll learn a lot about the way we think. The Nobel Prizewinner shows how we have two thinking ‘speeds’ – fast and slow. One is instinctive, one is considered. This really is the definitive guide to thinking. I watched the author give a talk at a science festival and had to buy the book. An insightful discovery of the human mind – and how we have much less control over it than we think. Scary stuff, but absolutely fascinating. You’ll feel differently about ‘your self’ after reading this. I really love Sir Ken’s writing. This book is all about learning to be creative – why we lose our creativity as children and how we can learn to get it back. Anyone who wants to be more creative, and certainly anyone wanting to build creativity at work, should read this brilliant book. Another American best seller and easy to see why. 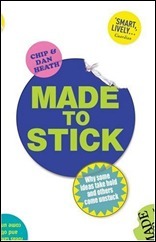 It’s hard to find fault with the depth of ideas and research into what makes ideas and messages stick in this really easy-to-read book by brothers Chip and Dan Heath. A definite must-read for comms professionals charged with writing and message management. The brothers introduce us to their SUCCESs model of ‘stickiness’ – simple, unexpected, concrete, credible, emotional and story – and spoil us with a torrent of great, practical tips and advice. One for the team, and one for your leaders too, methinks. OK, this isn’t going to be everyone’s cup of tea but I’m including this book here because I think we can learn a lot from philosophy – not just from the ancient Greeks and Romans but from the very idea of philosophy itself. 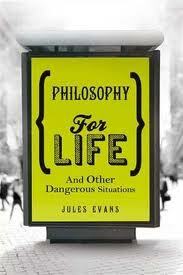 I watched a talk by Jules Evans at Hay and became interested in how philosophy can teach us how to live – and communicate – today. A great read if you’re interested in this stuff. This book does what it says on the cover. It explores where good ideas come from, but does so from a biological and historical perspective. Johnson identifies the seven key principles behind great ideas, from the ‘slow hunch’ to collaboration and technology. He shows how innovations boomed with the formation of cites, what happens in the brain when ideas occur and how one person’s idea can create an entire platform for further innovation. Fascinating. A must read for anyone interested in innovation. I don’t normally go for the sort of business management books you get in airport book shops but this one has some excellent ideas and case studies about how great leaders – and communicators – can inspire everyone to take action. Contains some interesting pointers for internal communicators, change managers and message-makers. See TED talk. I picked this up at a science festival because I thought it looked interesting. It is actually. 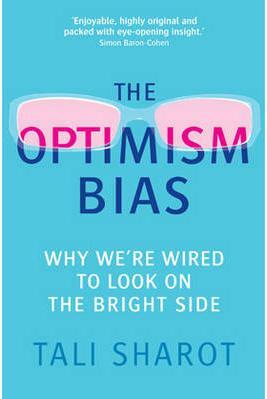 Some fascinating insights into how the human brain is wired to look on the bright side, with some surprising findings and consequences. A useful read for progressive communicators. See TED talk. From the author of The Wonderbox (below) comes this lovely little book, which can be read in day, full of hints and suggestions to help you find work that means something. It also provides pointers for communicators around what motivates people and how we can play our part in giving meaning and fulfilment to the colleagues in our organisations. I’m a huge fan of Sir Ken. His views on education and creativity are inspiring and his famous TED presentation on ‘why schools kill creativity’ has been downloaded more than 11 million times. Here, Sir Ken describes how “finding your passion changes everything” and shows us how to find our own ‘element’ using inspirational stories and anecdotes, along with practical and thought-provoking ideas. A great, inspirational read. Fast becoming one of the classics, Dan Pink’s follow up to A Whole New Mind is an impressive, bold and inspiring insight into human motivation and how it’s changing. Dan puts forward credible and fascinating evidence for the concept of Motivation 3.0, in which three key inherently human behaviours are transforming the way we live and work – autonomy (the need to direct our own lives), mastery (the desire to be good at something) and purpose (the search for something bigger than ourselves). Communicators and leaders should read this book to understand the gap between (as Pink says) what science knows and what business does. It’ll have a profound impact on the way you think about work, and maybe life too. I loved r eading this book, which I picked up at the Hay Festival. It’s a fascinating view of history (the wonder box of the title) and how we can learn lessons from the past to help us shape our lives today. Taking topics such as money, travel, work, belief and creativity, lifestyle philosopher Roman Krznaric looks back at the what we can learn from the ancient Greeks, the Victorian factory workers, Ming dynasty Chinese and many others. There’s a really interesting chapter on work that’s worth reading and the whole book is one that just leaves you thinking, which can never be a bad thing. A fascinating and highly convincing argument as to why the successful workers of the future will be those who can master the creative right side of the brain. It’s already been described as a seminal, mind-altering book. If you’re a communication professional, read this book and you’ll discover why the we’re one of the chosen few set to prosper in the Conceptual Age. Read my post here. Dr Steve Peters is the psychologist often described as the man behind the success of the GB track cycling team. Here, Dr Peters asks us to consider ourselves as having three brains – an intelligent human brain, an emotional ‘chimp’ brain and a functional computer brain. A useful read for change communicators. Check out the reviews on Amazon, including an insightful, unprompted review posted by snooker champion Ronnie O’Sullivan! Corporate communicators might be interested in this superbly written book by philospoher Alain De Botton for what it tells us about community, communications, motivation and education. ADB takes an atheist’s look at religion to see what it can teach us about how to live and work. The messages about the way the great religions have been able to ‘sell’ a consistent message and build community are particularly thought-provoking. Check it out.